The Orissa Fusion is available in two frame sizes. The standard three station cell can be configured to handle PCB’s up to 381mm x 430mm (fluxer, pre-heat and solder). Alternatively, this system can be supplied as a two station unit each with increased PCB handling capacity up to 746mm x 430mm. 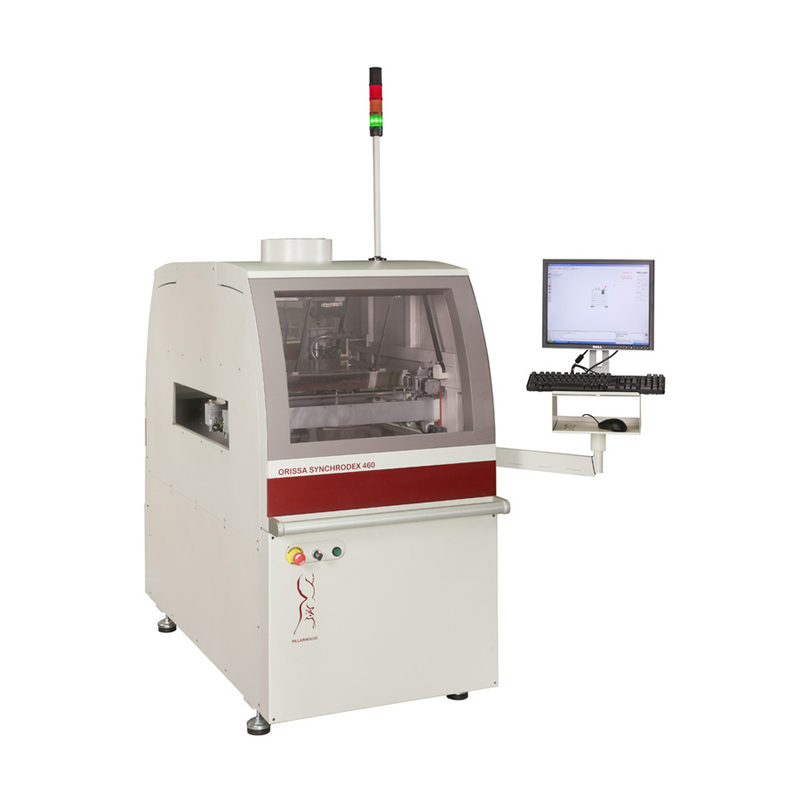 The standard four station cell can be configured to handle PCB’s up to 430mm x 381mm (fluxer, pre-heat, solder, solder). 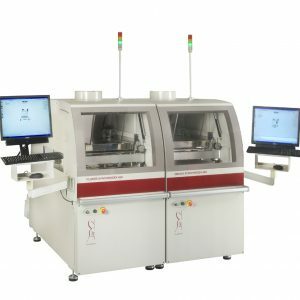 For high speed applications this same unit can be configured as fluxer/pre-heat and up to three solder modules with as many as five heater options. Maximum PCB handling size in Y Axis of up to 500mm with limited auto-fiducial and PCB warp correction function up to 430mm. Each solder cell can be configured with any of the currently available Pillarhouse solder technologies: custom-dip, multi-dip, Jet-Wave and single point AP down to the patented 1.5mm micro nozzle. Easy, rapid non-contact solder pot changeover is facilitated via the optional heated pot exchange trolley. Height clearance: Above / below 40mm nominal, 70mm max. Nitrogen usage: 40 litres gas/min per bath using single bath with standard AP solder nozzle, 5 bar / 72 psi pressure.